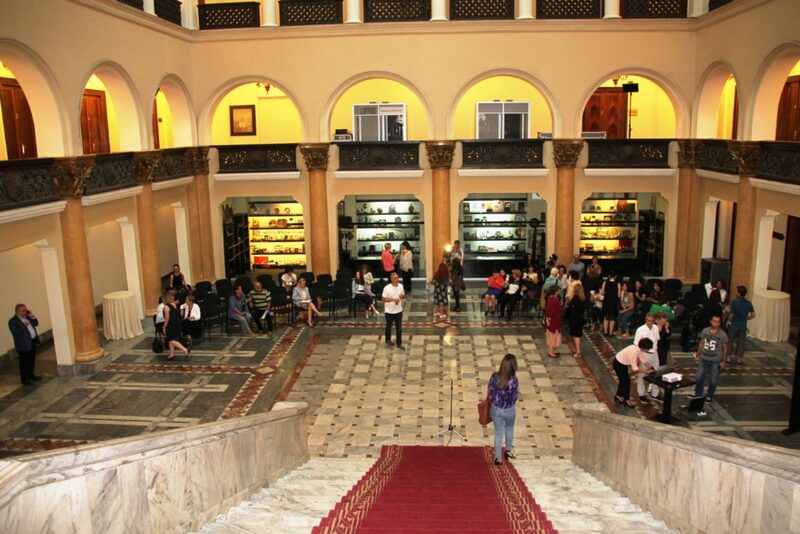 The International Conference on Women and Peace: Using the Arts to Communicate Across Cultures held in Kobuleti Georgia was historic. It assembled women artists and peace activists from 15 countries in Adjara Autonomous Republic situated on the Black Sea. The focus of the conference was on peace building to highlight women`s contributions in the field of art such as theater, music, dance and visual arts. My theatre performance gave voices to the women from my region Serbia, Croatia, Bosnia and Herzegovina, Montenegro, Macedonia, and Kosovo, who lived through wars, rapes, losing their dearest ones. We performed in theatres, at city squares, in the buses, on the streets. (Dijana MIlosèvic, Serbia). Georgia was chosen as a location for this event because of its complex history where women artists and activists have creatively opened the space to peace building and conflict resolution for more than 20 years. It was unique that women from Armenia, Azerbaijan, Georgia (including Abkhazia) interacted and gave their voice to regional peace. In a world wracked by the rising tide of gender biased exclusion, racism, human trafficking, displacement, violence, border conflicts, war, impoverishment, ecological disasters and other forms of human made destruction, women have shown the power of art and creativity to transform our communities. Jai Jagat (wellbeing for all) is a major step to strengthen collaboration among women in enhancing their leadership role. The women considered the importance of eliminating poverty, promoting social inclusion, fostering environmental protection and regeneration, and resolving conflict. With this in view the participants of this conference saw the significance in networking with women’s organizations around the world. #Women Seriously plans to join this campaign to form Women’s Peace Tables as a means to broaden women’s support worldwide. Therefore, we are committed to nonviolence and to expand solidarity among national and international partners to promote social and ecological justice, and to work towards a secure and peaceful world.